We are proud to announce we will be working this awesome festival this year! For anyone interested in getting tattooed be sure to grab your tickets while you can and contact us to set up your appointment! We are proud to announce that Jason Dombrosky will now be part of the Straight Eight crew! Instagram is @broskyink go check him out! Tues. - Fri. 12pm.-8pm. Saturday 12pm.-10pm. Small businesses are the heart of every community. 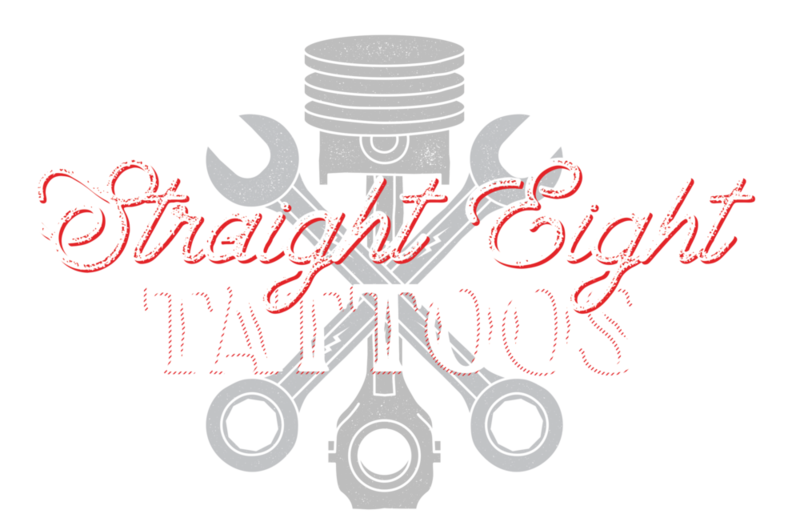 At Straight Eight Tattoos we strive to break the negative stigmas not only related to tattoos but the procedures as well, and raise the bar in the tattoo industry. Offering the highest quality products the industry has to offer. Everything is 100% disposable and single use; meaning there are no worries of reusing needles or any other procedure related product. Every artist is blood borne pathogens certified and uses all the necessary precautions and techniques to make sure everything is properly protected and sanitized both during and after every tattoo. We are committed to offering exceptional customer service and the highest quality tattoos. Whether you are getting your first tattoo or you are a seasoned veteran every visit with us will leave you with an extraordinary experience that you will cherish and remember for a lifetime. Our artists offer everything from cover-ups and re-dos to realism and traditional.